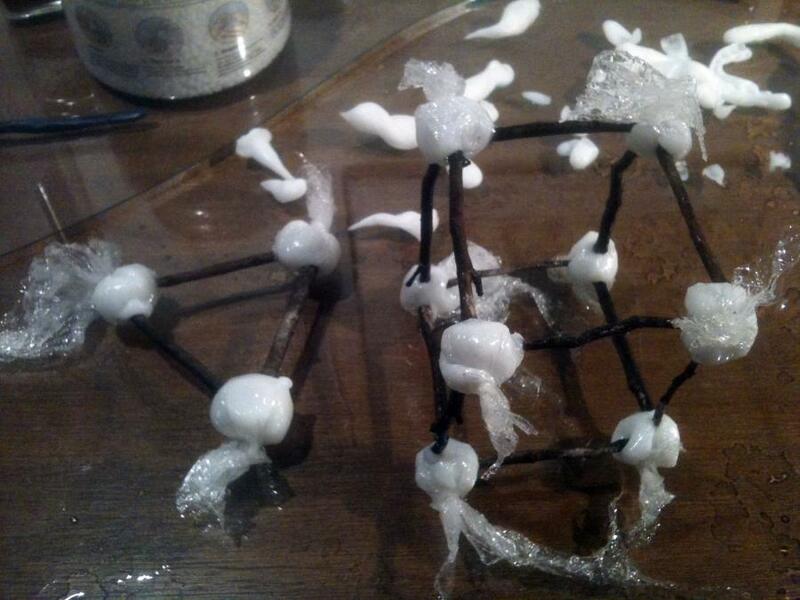 We've been experimenting with different ways to make geometric shapes, here are a couple of the results. 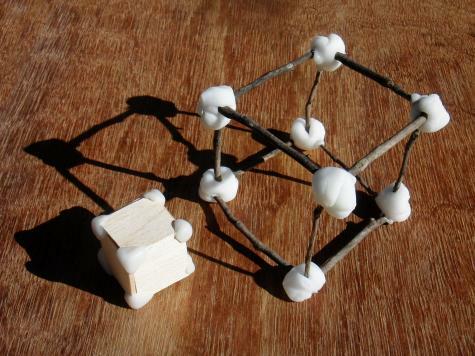 To make the smaller cube on the left, we cut six equally sized squares out of balsa wood, then formed a small piece of warm Plastimake over each corner. Done! The larger cube took a little more effort. For each corner we rolled a piece of Plastimake into a ball, then wrapped the ball in cling wrap. Twisting and tightening the surrounding cling wrap forced the Plastimake into a tidy spherical shape. The cling wrap acts as a skin and is quite effective at stopping the Plastimake from sagging as it cools. We then poked sticks through the cling wrap and into the warm Plastimake to form the edges of the cube. After creating each corner piece we submerged it all in cold water to lock the shape. Once it has cooled the cling wrap can be peeled away - cling wrap doesn't stick to Plastimake. Although they're fun to make, we can't think of an immediate practical use for these cubes. Can you?